"Matthew B. Sperry was GREAT! My family & I appreciates his hard work and commitment. Mr. Sperry explained the process from beginning to end and it made it that much easier. When I came to MEVORAH LAW OFFICE, I felt very frustrated and taken advantage of. He talked me through the process and gave me very honest opinions about my situation. He is very experienced and knowledgeable. I was almost getting deported but just because of Matthew B. Sperry I got a second chance at life, my case was granted. Thanks to his hard work! I definitely recommend!" - A. C.
"Fearing there was a problem with my certificate of citizenship, I turned to Mevorah Law Offices for help. My Attorney helped me focus on the real goal, which was to obtain my social security benefits. He and his assistant helped me collect all the necessary papers and was able to get my benefits approved after I'd had two rejections. I highly recommend both my attorney and the law firm, and will use them again if needed." - I. B. "I would like to thank [my attorney] for all his work for us in regards to my husband's immigration process. He was well informed, organized and highly effective; making the process much easier. I would recommend his services to anyone seeking a seamless process. Thanks again!" - M. S.
"I would like to thank [my attorney and his paralegal] for their wonderful job! Thank you guys, you did a great job. Especially in organizing all the paperwork and representing my case. You are very kind and down to earth people! 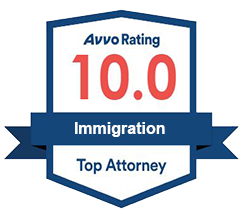 I am very happy I did my business with you and would highly recommend you to anyone who is looking for an immigration lawyer! Thank you!" - I. K.
"I would like to thank [my attorney] and the staff for helping me get my residency. He did a great job. I would recommend him to anyone that needs the same help. Thank you." - J. C.
"When I first found Mevorah Law Offices LLC in the phonebook I was not to sure of it, but there was the phone number so I called and made the appointment, which they gave me that day. [The attorney I met with] asked what the problem was and what can he do for me. I told him [and] he took my case. He explained what [he would do] and I was more than pleased with what he said. From then on, I knew my case was going to be just fine. ["¦] so if you need an honest firm, Mevorah Law Offices LLC is the one." 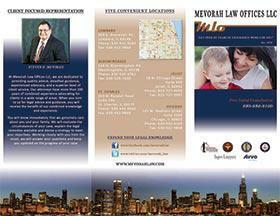 - E. W.
"My sincere thanks goes out to Mevorah Law Offices LLC. [My attorneys] provided much needed comfort in addition to their sound legal advice. A very professional law firm, indeed." - A. R.
"I would like to thank [my attorney] and the entire crew at Mevorah Law Offices LLC for their outstanding work on my case, which was a really complicated one. Once again, thank you so much." - M. M.